I remember the 1970s as a time of journeys. College kids like me were forever on the road to discovery, whether hitchhiking or exploring our inner selves. That's why we idolized Joni Mitchell. 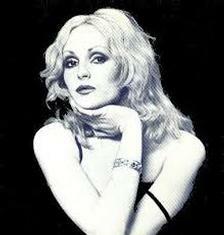 Like us, this eccentric singer-songwriter was on a quest. We followed her progress from the open-hearted folkie of "Chelsea Morning" to the jaded romantic of "Blue" to the brash pop star of "Help Me." 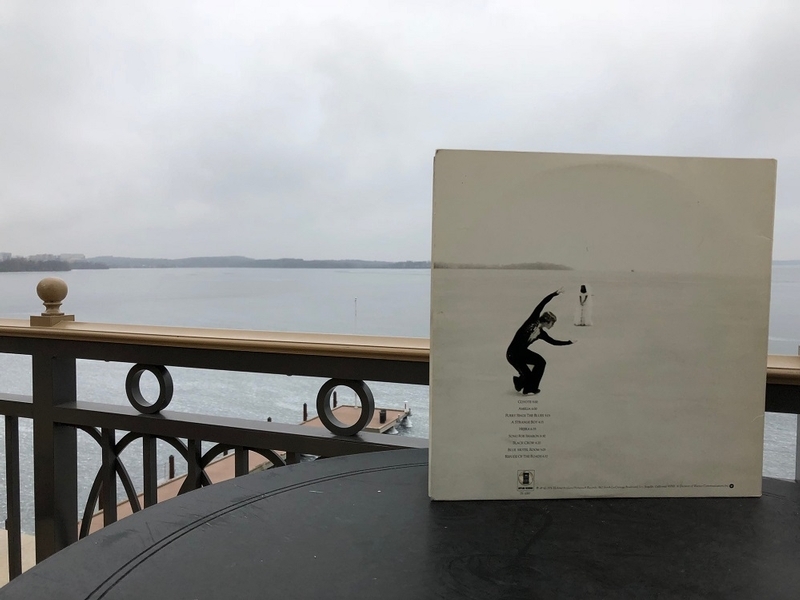 In 1976, Mitchell's wanderlust brought her to Madison and a spontaneous photo shoot on Lake Mendota. 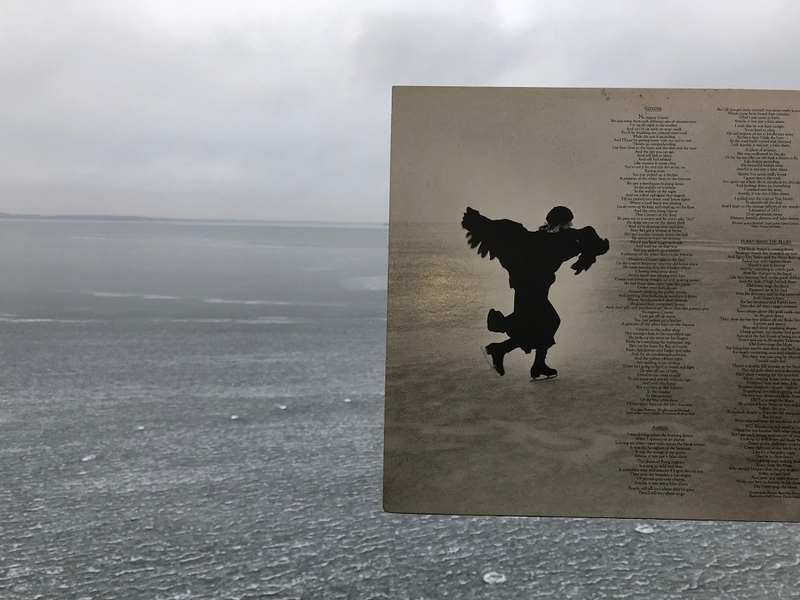 Months later, the photographs appeared on an album jacket, encapsulating both Joni's career and the self-analytical post-hippie era she ruled over. Mitchell came to Madison for a February concert at the Dane County Coliseum, in the midst of an ice storm. She'd just broken up with her longtime boyfriend and called off the rest of her troubled tour, so her emotional state was melancholy in the extreme. Gazing at frozen Lake Mendota from the Edgewater Hotel, she felt the call of the glassy white void. She could hear tree branches cracking under the weight of the ice, a sound reminiscent of tinkling glass. Mitchell went into town to buy a pair of skates, choosing men's black to match her mournfulness. She donned a long black skirt and a black ermine cape and leaped onto the ice. The surface was dangerously spongy. Freezing-cold water splashed onto Joni's face, leaving welts. But she felt compelled to go through with her mad plan. Her photographer, Joel Bernstein, followed along to record the strange scene. 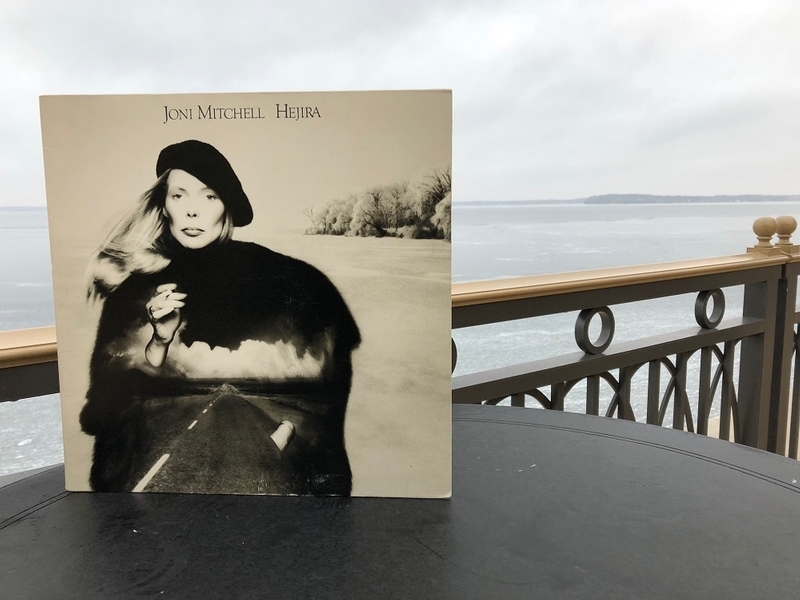 Joni liked the photos so much that she used them for black-and-white montages on her album Hejira. The title is an Arabic word meaning "journey," and the wintry images fit perfectly with the musical message. Chilled by jazz-rock guitar, the songs are less melodies than moods. They're less pop than poetry. In "Coyote," "Amelia" and other meandering masterpieces, Mitchell evokes the restlessness of the road, mirroring the restlessness of her soul. Jaco Pastorius' prodding bass seems like a stand-in for the psychic obsessions she can't let go of. Rolling Stone picked Hejira's cover as one of the best ever. But for a Madison resident, it has special meaning. It shows us that frozen Lake Mendota is not just a place for casual recreational activities. It can also be something far more mysterious - an expanse of endless possibility. This article has been viewed 779 times since being added on January 19, 2019. Icy flight of fancy. Charming recollection. Thanks.